Yeah, 20's are just excessive. Sixteen inches makes the car look normal to me. The problem with most people is that they put on the huge wheels but don't realize some negative effects if they don't know what they are doing. I imagine if you cannot stay within the same height as the stock wheel and tire combo, the speedometer would be off. The brakes also need to be upgraded as someone said. it is good to see you 626 on 20's. 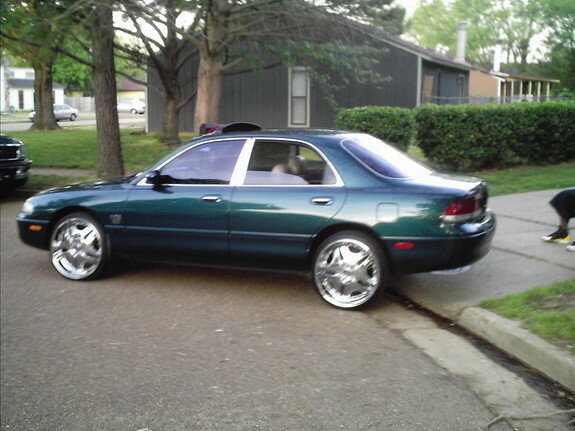 car looks good and if you can do 22's than you will definately be the first with 22's. 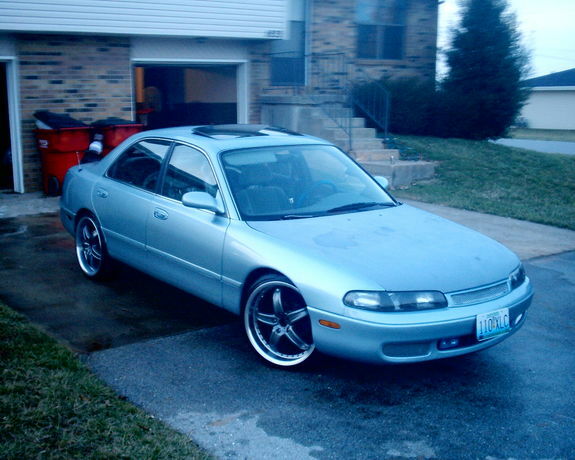 but I know a place where you can get 22's with tires and shipped for about $2300. gotta ride big to make the six look right. its a big car so you need to get big rims. looks good but yeah definitely not the first on 20's..
he is the first that I've seen with 20's. I live in VA and I saw one guy 2 weeks ago with 20s and a 97 626 but 626 on 20's is the first that I've seen in that body style. Looks good my man and be the first to do 22's. Sorry but 20" on a 626 is a bit of an overkill IMO. I think FizSRP did 20s on Faye, then took them off. I don't think he had pics. Sorry, but this thread made me laugh. This is the type of car that the person puts so much money into making thier car stand out with rims and tires and has no problem with it. Then, in the same breath will complain that they just spent $50 to fill the gas tank. I think they look to large for the car, 18's to me look perfect for an upgrade on this car. But, as already said, to each his own 626. This just reminds me of the whole Chris Rock comedy skit where he is making fun of (specifically black people, but I know lots of others just as bad) people spendin' their money on rims - "Put a toaster on 22s!" To each his own, but I hate the bling look. Subtle but different all the way for me. That and I just have to laugh at someone who's car is nicer than their home, or are in government assisted housing but have an expensive car (see it all the time). You can't afford a house on your own or need food stamps, but you can buy a car and put $1500+ tires and rims on it... makes perfect sense. 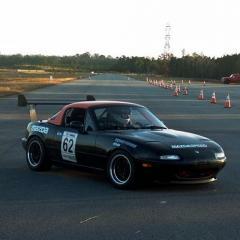 Psychotic_images - I calculated the tire speed for my old tires on the 626 and the stock tires on the 6 to make sure my speed wouldn't change. Here's what I found. The difference between a 205/50-16 (~.1" different than stock 626 tire) and 205/60-16 (stock 2006 6i sedan) tire is about a 1.5" difference, making the speed different by 4 miles an hour at 60, so I image there is a huge speed difference between the stock size on a 626 and the tire size of a tire for a 20" rim unless you have no tire. But performance would drop nevertheless. Yeah the twentys are overkill, I think 19s are the biggest I would go with, there are a couple people on this site with 19s and they look pretty good but 17s and 18s are big enough for me. Yeah defintely drop it, I could stick my leg off in that fender gap, lol but it would probably scrub beyond control if it was dropped. Theres a guy up the road from me with a newer prelude (97-02) with 20x7s and its dropped and actually looks pretty decent. As every else has stated, to each their own. So you are trying to make it look like a truck then? It isn't always just to make the rims look bigger, it is to make them suit the car better - less space between the fender and tire. I don't know much else, I've never lowered my car. I think cars look better when they look sleeker, and they look sleeker and sexier when they are closer to the ground. Not "holy crap I bottomed out" close, but close. I also have a car because I want something powerful but gets decent mpg as well - bigger rims have diminishing return, and weight hurts acceleration and mileage too. 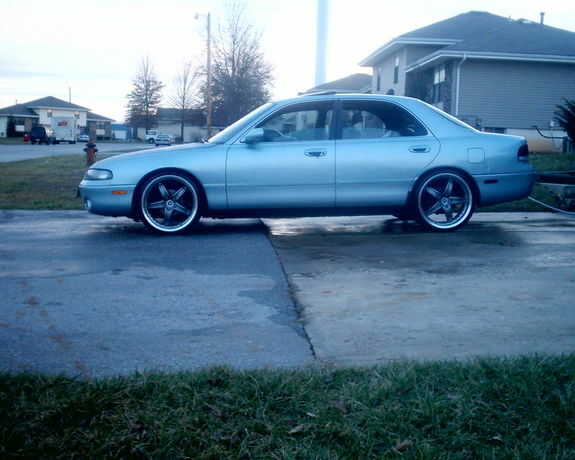 I had a 95 that was lowered with 17's and it was cool but I got tired of riding low and it did f*ck up my suspension. 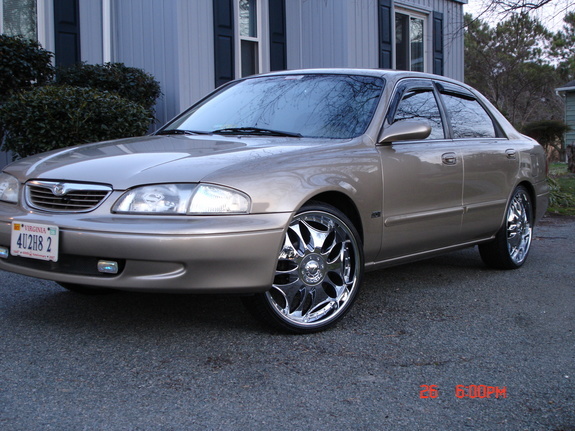 Then I put the 17's on my gold 6 and was way too small. so I stepped it up to 20's and I think it looks great because the car is too big for 16's and 17's. You might as well keep the stock 15's. My MPG didnt change with the 17's and 20's. go big or go home.